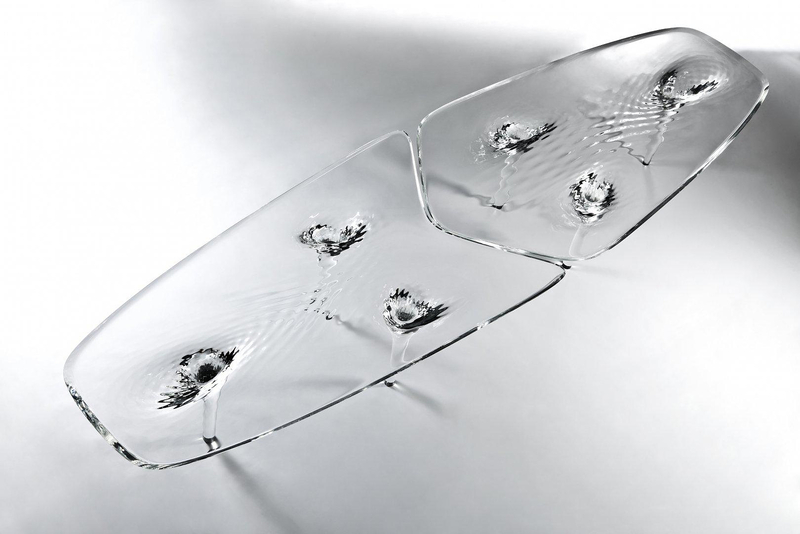 HomeBlogHome DecorLiquid Glacial Table by Zaha Hadid. 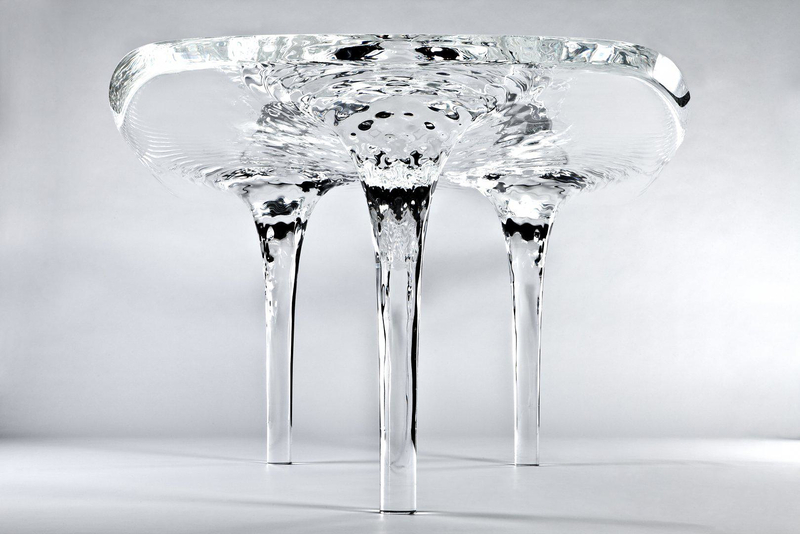 With a translucent table top that looks as if it was made from ice and legs which resemble vortexes of gushing water, the Liquid Glacial Table by Zaha Hadid is one stunning piece of furniture. 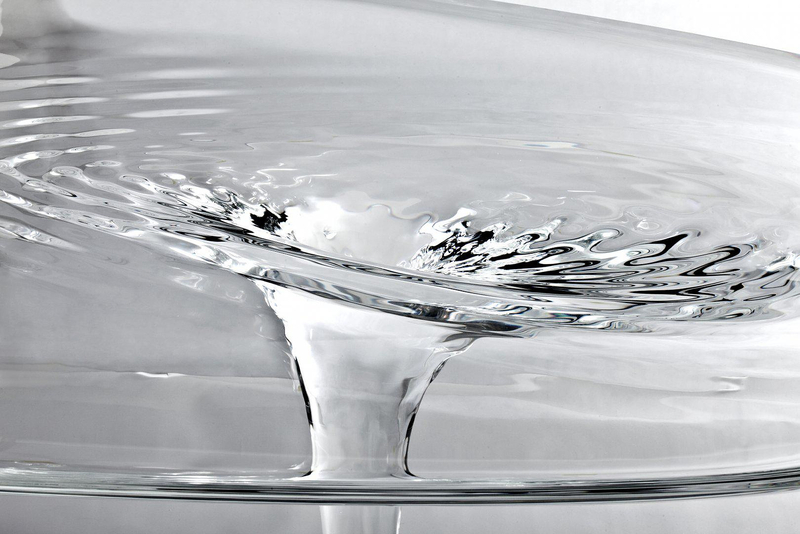 The Liquid Glacial table consists of two smaller tables which are combined into an eye catching large dining table. 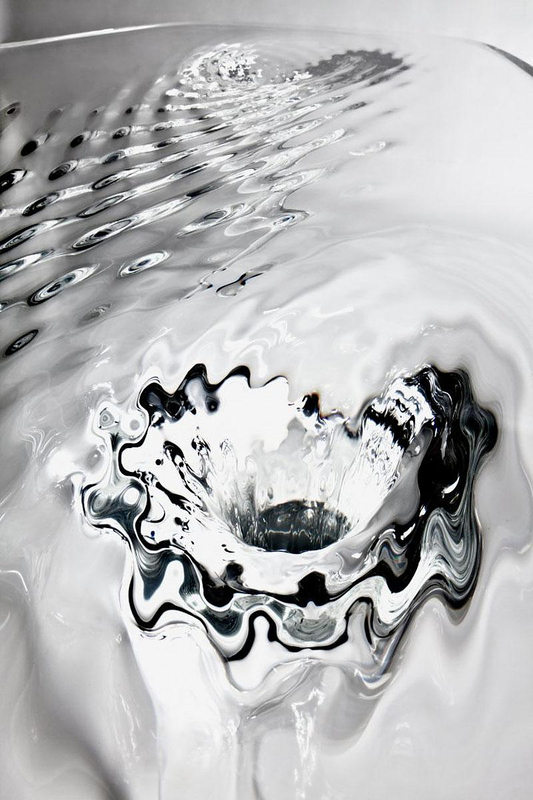 This unique piece of art is cast in clear and coloured acrylic, which appears as if it was frozen in time while transitioning between the different states of water, liquid (water) to solid (ice). 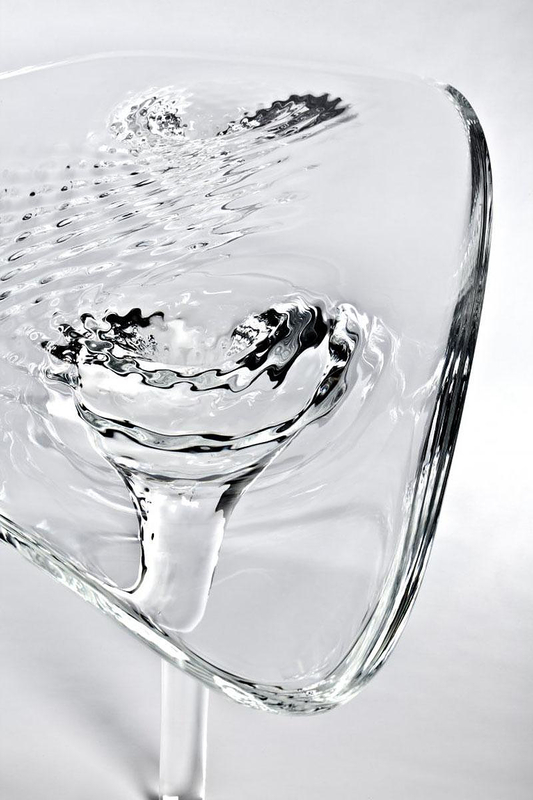 Its design embeds surface complexity and refraction within a powerful fluid dynamic. 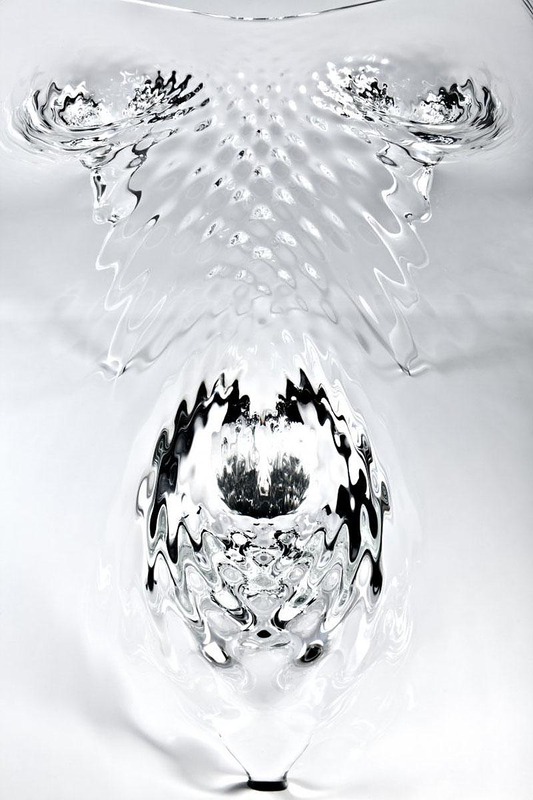 The contrast of the smooth and tranquil tabletop with its rippled underside creates a unique style statement and provides plenty of opportunities to render and warp shadow and light for an impressive kaleidoscopic affect. 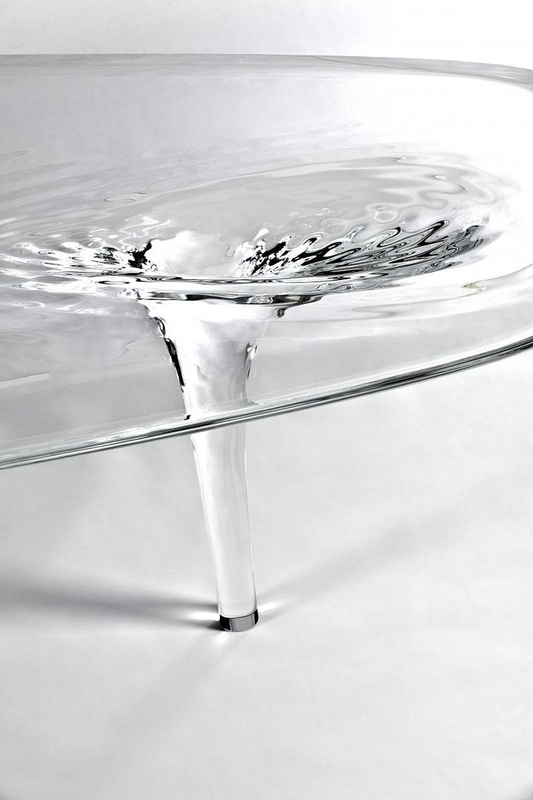 The perception of its form changes depending on the environmental conditions and the viewing angle, hile the table’s legs seem to pour from the horizontal for a dramatic effect. 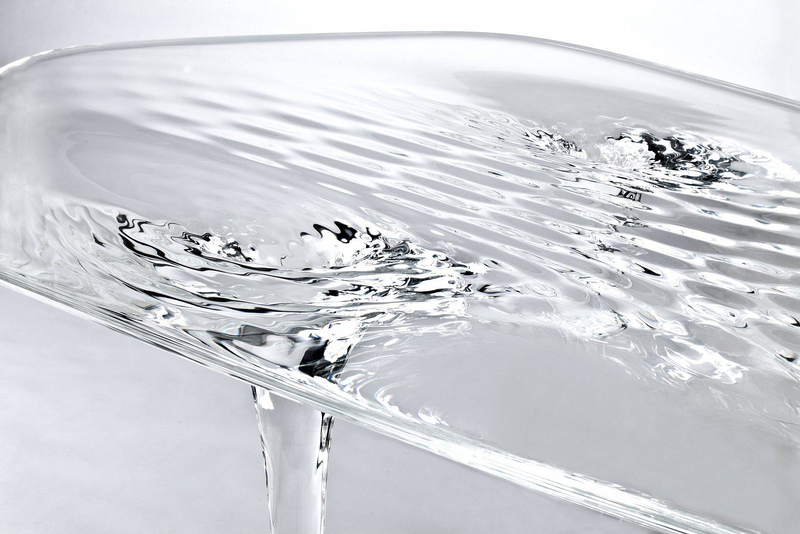 The Liquid Glacial table was presented at the opening of the new David Gill Gallery in London, Mayfair, where Zaha Hadid’s “Dune collection” will also be on display. 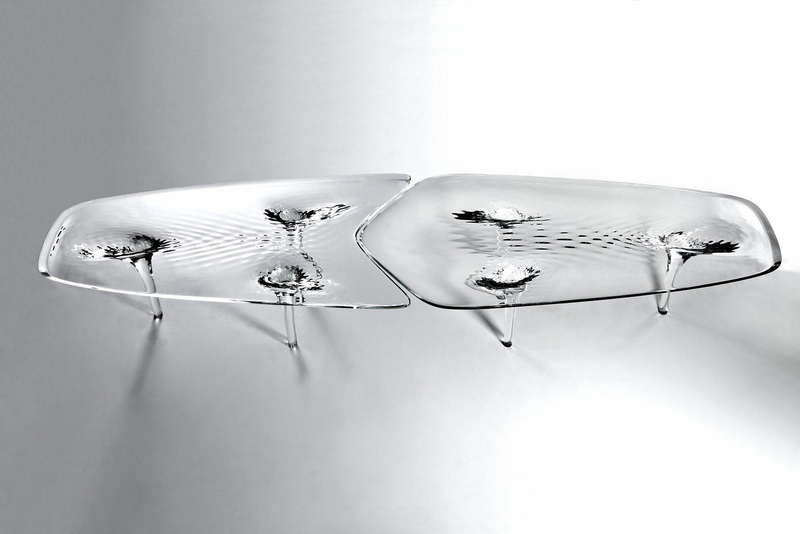 Halo Desk by Karim Rashid for Dune. Zanotta Segreto Night Table: Futuristic yet Timeless.